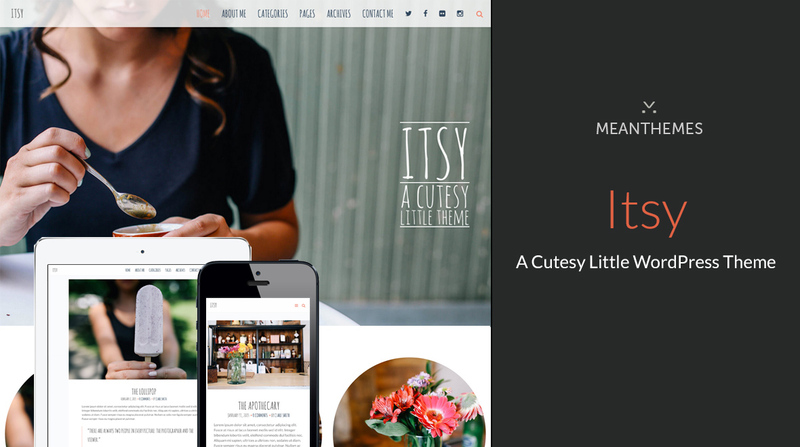 Meet Itsy, a modern, minimal, beautiful and pretty WordPress theme. Want a lovely big homepage hero image? You’ve got it. Want a grid of your sticky posts on your homepage? You’ve got it. Want a cool and collected minimal design, with gorgeous share overlays, search overlays and a beautiful mobile experience?... then Itsy is your cup of tea.